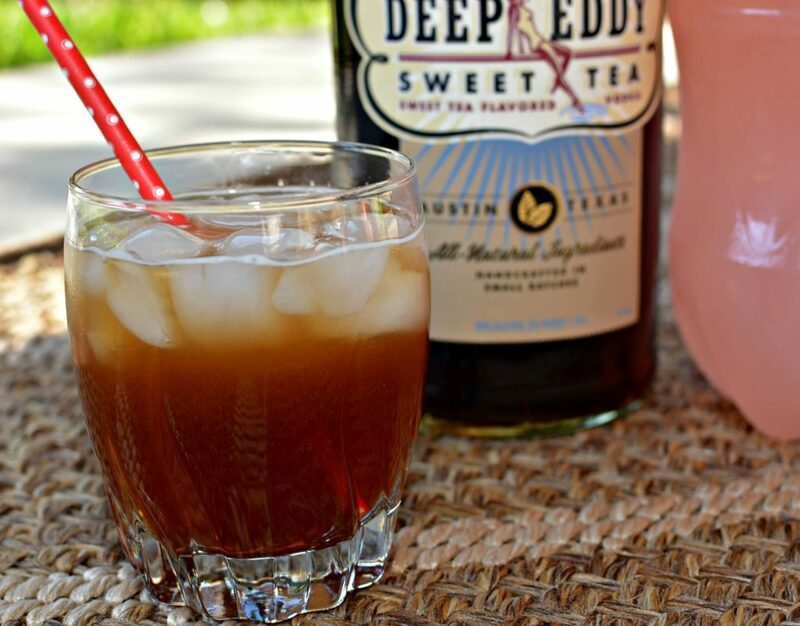 Named after the American golfer John Daly, this alcoholic version of an Arnold Palmer is made using sweet tea vodka and lemonade! Refreshing and simple to prepare, this will be your new favorite cocktail! Last week, my hubby had a business trip in South Carolina and I decided to tag along. My parents watched our little ones and we turned the trip into a mini getaway. Since I had never been there before, I was thoroughly excited to see the historic sites, check out the cuisine, and just enjoy the downtime from normal daily life. Our first stop was a restaurant called Fleets Landing. It was right on the ocean with a gorgeous view. Their menu was filled with fun seafood options and tasty cocktails. To start, we got drinks and I ordered their “John Daly”. Upon my first sip, I knew that I HAD to make an at home version because it was too good not to have back in Houston. We ended up ordering their seafood stuffed hush puppies, salmon, and my hubby ordered a crab sandwich. All in all, it was an amazing first meal!! Once we got back home, I immediately went to the local liquor store to search for the flavored vodka. 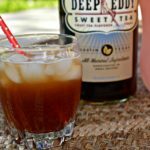 Although not the brand I had in South Carolina (Firefly), my store had a different brand that was just as tasty, so just be sure to look for sweet tea flavored vodka and you’ll be set. *If you can’t find it, you can always sub regular sweet tea and vodka. I picked up some pink lemonade (that is my favorite, regular works as well) and once home, began playing around with amounts of each until the taste matched the restaurants. I can now say, I have made the exact replica of the restaurants version and am quite happy to have the option of this cocktail on hand when wanted! 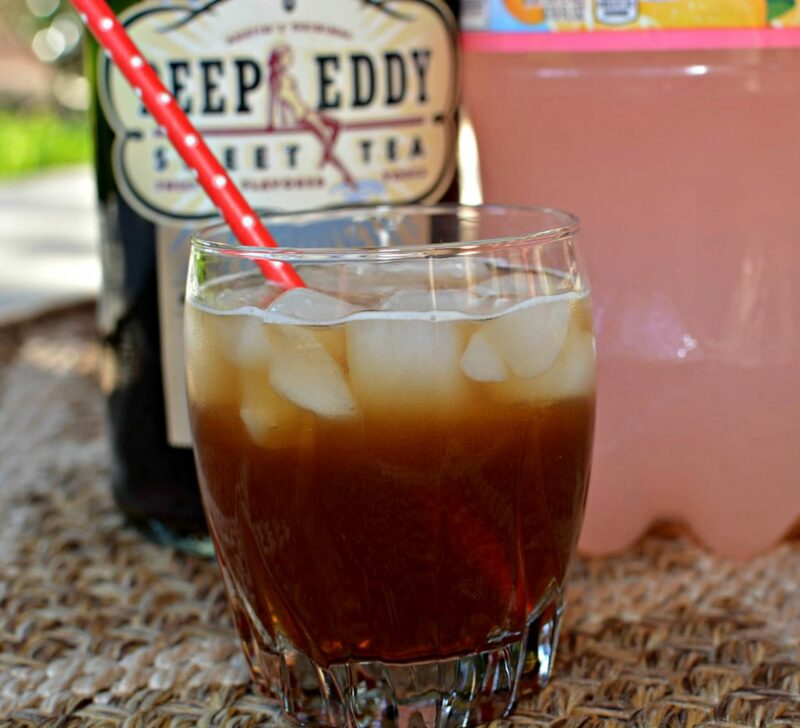 This refreshing drink is a fun twist on the classic Arnold Palmer and is quite refreshing! Just be careful because this drink can creep up on you if you have too much! Drink responsibly and enjoy!!! 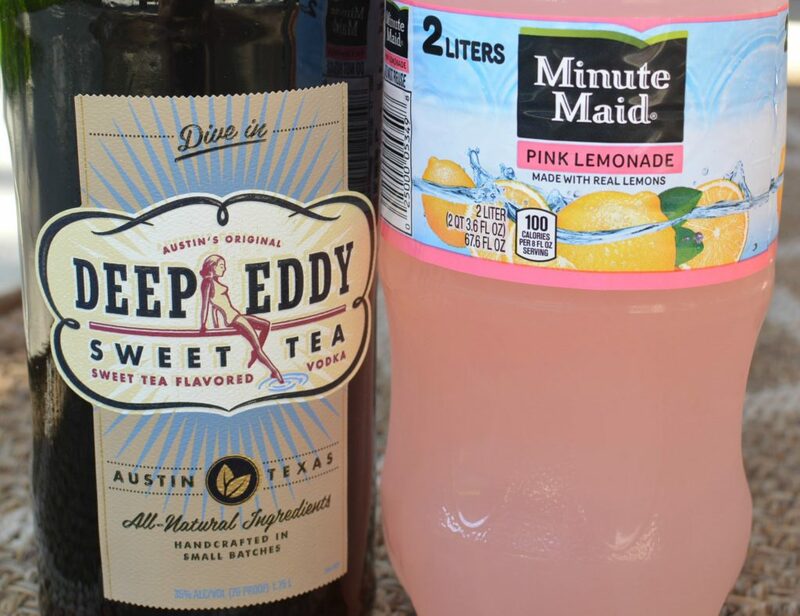 Named after the American golfer John Daly, this drink is both refreshing and simple to prepare! In a large glass, mix together the vodka and lemonade. Pour the mixture evenly into two glasses filled with ice. Be sure to sign up for my newsletter to see all the newest recipes directly in email form!! Go to my page, www.thecookinchicks.com, and on the right side you’ll see a spot to enter your email address. Once you enter it, be on the lookout for a confirmation email. Once confirmed, you are good to go and will never miss another new recipe! !